Probably two of the most frustrating things in my life are my computers. One sits and taunts me from the top of my desk and the other lies in wait on the bookshelf next to my recliner. Back when they were fresh out of their boxes, I firmly believe that the desktop (the older sibling) whispered to the new laptop (the baby), “Hey, let’s gang up on Jimmy, and make his life miserable at the most every opportunity. It’ll be fun, you’ll see!” So, the fun began…or at least for them. Over the past several months, I have been plagued with viruses, adware, dead batteries, the slowest speeds imaginable, temperamental CD drives, total crashes, etc. Finally, it has gotten to a point where the blue screen of death is a welcome sight to see. After dealing with the ringleader desktop computer until the wee hours of the morning, I finally decided to wipe it clean, reinstall operating systems and programs, and start all over again. It seemed a much better option than spending the money for a new one when this renegade is not that old. It just needed an attitude adjustment. It happened. Without any warning, I began the next day by sneaking up and accessing the dreaded DOS system and began to reformat. Kicking, screaming, and making all manner of threats against me, the PC finally succumbed and I spent the better part of the morning restructuring it into the machine I wanted. The machine it once was. Since that time, with all new (and free) programs to monitor for viruses, adware, malware, and the other type of –wares, I have a very safe and secure system that operates quickly and exists solely to keep me happy. The laptop will have a similar appointment coming; however, I need to keep that day a secret - especially since it is sitting on my lap as I type. Many times our own internal operating systems become messed up and we cease to operate as God wants. We let down our protective guards and allow all manner of viruses and hurtful elements to enter our hearts and minds. The Word of God should be the only guard we need to keep harmful things out of our lives. However, they are often so attractive that we rationalize that “just this time won’t be a problem, will it? Will it?” Like a computer virus, once it has a toehold in our life, then it spreads to all areas. Is that movie the most appropriate to see? Is it something that God would approve of one of His children watching? Is that website or chat room a place where you might compromise God’s standards for a few minutes of selfish enjoyment? Is that word or phrase you just spoke one that builds up someone, or tears them down? How about the places you hang out for fun and the company you keep? With a finger pointing back to me, I ask….how did we come to this point? We allowed the virus of disobedience to enter our life and it is taking over. God is being shoved further and further into the background because we know He wouldn’t be pleased. Then the point finally comes where we need to be rebooted. We have to make the painful choice to erase and remove all the worldly influences and allow the renewal drive of God to take charge once again. These periods of cleansing are not always easy, but they result in a happiness and joy unlike any other. Is it time for you to be rebooted? Things have been rather wild in Jimmy-world lately. Working at the Library in town, doing media/press for a local Mayor's re-election campaign, finding and writing grants for a Children's Literacy campaign, plus all the responsibilities of a church musician. Not that the wildness has been a bad thing, just a wild thing. For some reason, I have been consumed with reading over the past few months....even to the point where I have neglected my writing and music. All this has thrown me off-kilter somewhat. Not good, Jimbo. It's been a year ago this week that I was in the hospital with a "mild" heart episode and was made to realize that it was time for me to leave my newspaper job and find something else. However, the downside of working for the paper was I kinda lost my touch of writing for the fun of it....for the enjoyment...for the God of it. It has been a week of thinking back on that time and figuring out where I am now. But, as Jeremiah tells us, God knows the plans for my life better than I could ever could. (Jer. 29:11). My time seems to be consumed with concern over a family member who is struggling with alcoholism and pharmaceuticals. Not admitting the problem, this person continues to create a lot of worry and stress, yet I still feel the need to fix it. There doesn't seem to be anybody here on earth for me to talk with about it...friends are all facing their own crises and I don't need to add to their burdens (or allow them to add their burdens to mine). I just want someone to listen to me. Because of the family situations and dynamics, I am not able to go a minister...been to a Christian counselor, but that didn't help except to spend an excessive amount of money and creating more debt. The bright side is that I am really, really blessed with a good family, friends, and church family. I just hate feeling that I need to keep "the Christian happy mask" on all the time when I would just like to crawl into bed for awhile....or camp out on the sofa in the sunroom....or go to the beach....or the mountains...just go somewhere. 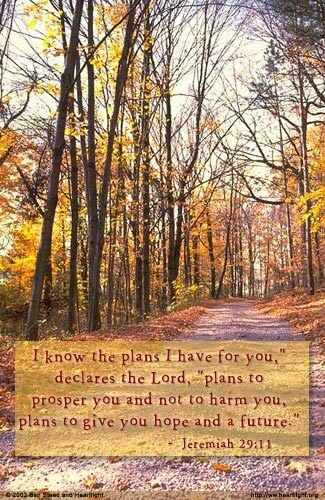 But, I do know that God is walking with me. Guiding. Nudging. Whispering. Hugging. Letting me know that He is in charge and I really don't need to worry. So, I'm working on that half (the worrying part, that is), and it is working better with each day. I knew I could get some thoughts out here on "Being God's"...whether anyone reads or not. This was my intent in the beginning; to share about the struggles and joys of a single guy trying to live a life for God in a very hostile world. Until then, for today this has been the gospel according to Jimmy. My church recently celebrated a Homecoming Sunday. For those who are not in the “church know,” that is a time when former members come back to the church to renew old friendships, hear good music and preaching, and of course, eat lots of good food. The problem is, that it is very easy on those days to remember a time when a church had more people, more money, more staff, more programs, etc. This leaves us in a feeling of the good ole’ days are over and things just ain’t gonna be the same. We focus on these material and temporary things and not necessarily look at the important part of the spiritual well-being of the church. Are we growing in our faith, are we reaching our community and beyond with the knowledge of God, and are we experiencing true worship? The poet and philosopher, George Santayana once said, "Those who cannot remember the past are condemned to repeat it." I think he was speaking to us on a couple of levels. From a personal level, we need to learn from our mistakes. We need to learn to forgive ourselves and others then get past it, not dwelling on it. On a church level, we need to continue looking forward to continued ministry and not become fixated on the temporary things of our past. My mom goes to the same church where I grew up and they still provide an active and vital ministry in their community with 20-something people as they did when there were 200 people….and in many ways a better and more heartfelt ministry. Janie, a friend of mine from church, told me that she was riding along the highway recently and saw one of the vintage Dodge Darts alongside her car. Remember those (at the time) fancy push button transmission buttons? They are certainly a reminder of days gone by. It seems that more and more cars that I owned as a high school and college student are being seen with antique car license plates. As this friend and I continued to talk along these lines, her thoughts were so good that I asked her to write them down for me to share with you. “Remember when life seemed simple? Less complicated? We all have memories of a time when life seemed much simpler. Our lives today are filled with so many pressures. So many demands. Wouldn’t it be nice to be able to go back to a time when life was simple and we all could feel peaceful? In an attempt to bring back pleasures from the past, manufacturers have re-made cars to look life our favorite muscle cars, furniture to look like the furniture we grew up with and CD’s to compile each decade of our favorite music. We can even go to Cracker Barrel and purchase candies and gifts from our yesterday. So for today my friends, this has been the gospel according to Jimmy.